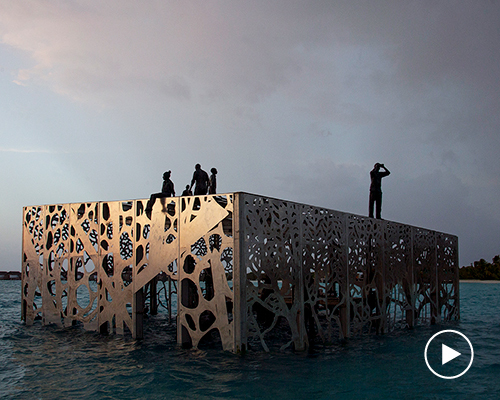 designboom spent 4 days with the artist at the newly opened luxury hotel to document ‘coralarium’, an immersive installation being assembled beneath water. 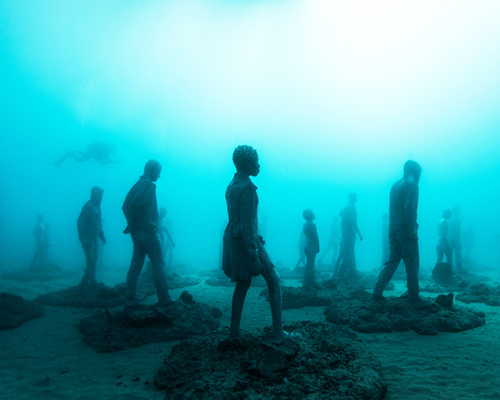 after years of work, the british artist has finally completed his monumental underwater project: 'museo atlantico'. 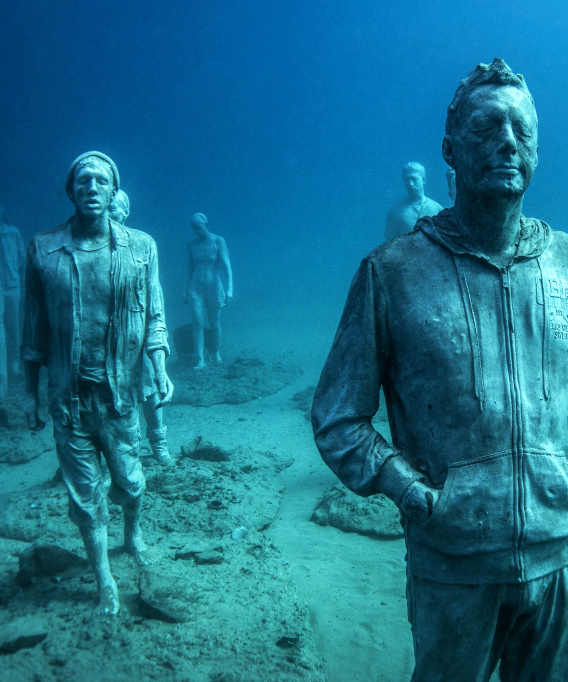 the artist has installed the first wave of sculptures in museo atlantico, 14 meters beneath the clear blue waters of lanzarote, spain. 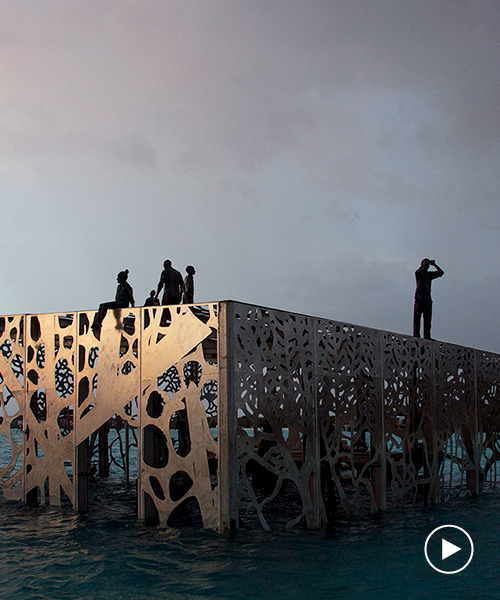 the four tidal works are concealed and revealed by the daily ebb and flow of the thames river, calling attention to the potential apocalyptic outcome of climate change. 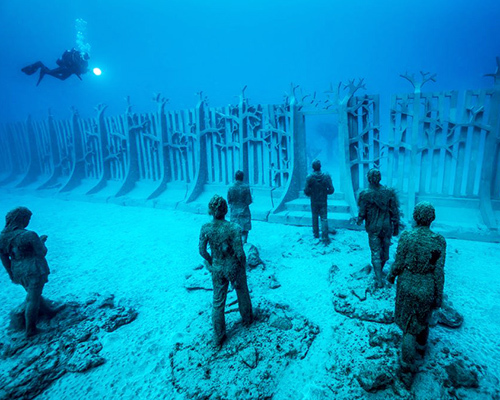 marking the largest single sculpture ever to be inserted into an underwater landscape, the sixty-ton sea statue spans 5 meters beneath the aquamarine waves. 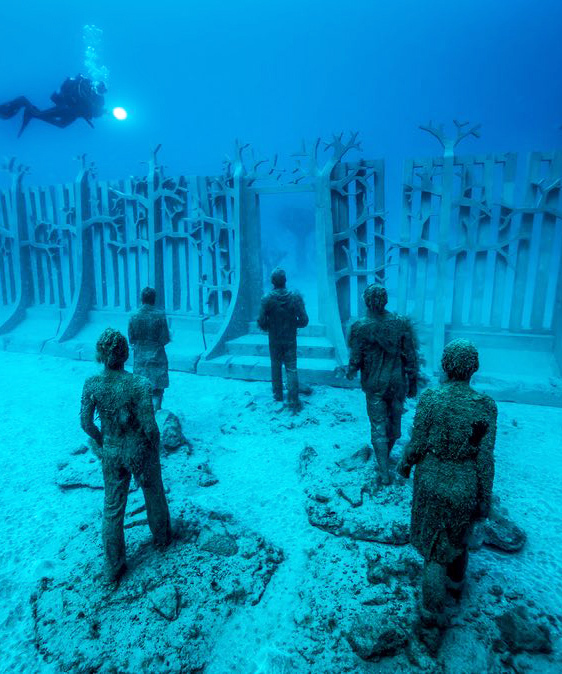 the british artist has just installed new artificial reef artworks for the underwater museum near cancun, mexico upon which water wildlife of the region may make their homes. 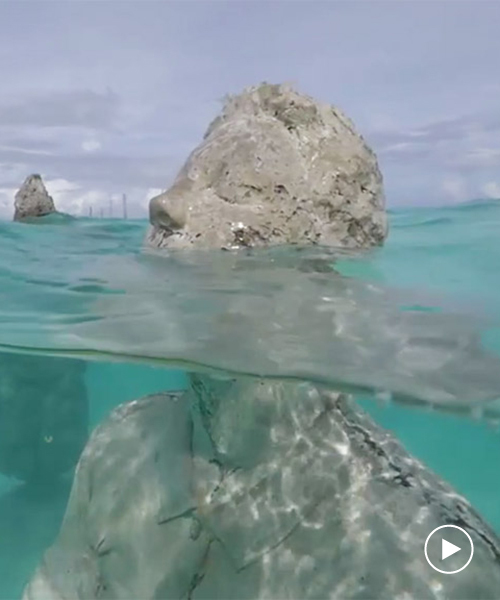 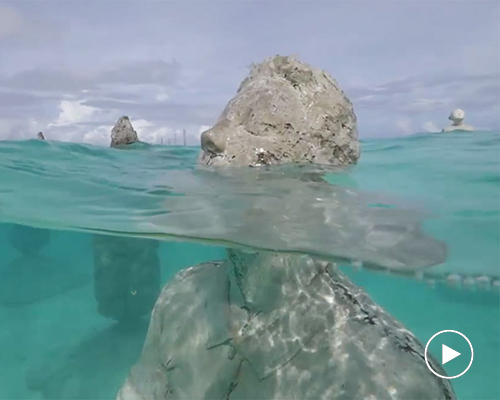 just two months after its installation, jason decaires taylor's massive underwater sculptural installation is already showing progress towards its second purpose as artificial coral reef.